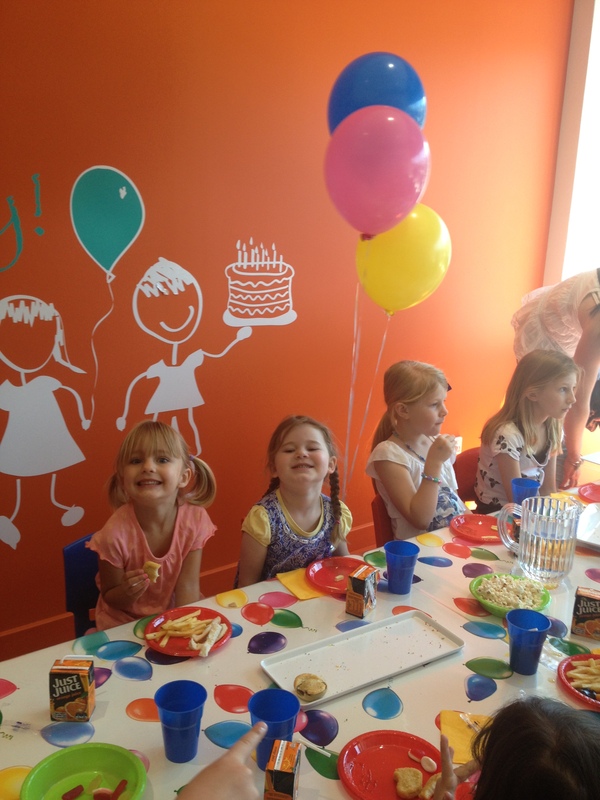 Moving Forward…and a Party for a Beautiful 4yr old! It’s been so long since I last wrote that I struggle to remember where I was up to! Going back to work has proved slightly more intense than I originally expected it to, even though I only work 2 days a week, Alethea and I are busy every other day of the week, so going back to work has been quite exhausting! I have to say that I was a little disappointed to learn that most of my immediate colleagues have not read any of our blog, (not that I expected them to read all of it) but they haven’t even been bothered to slightly go out of their own way and read the first couple of posts which explain what happened and how we felt in those first few days after Liam died, they have no idea what he means to us and that yes he was our baby, our child and we loved him dearly, they just expect that everything is fine, and what I find even harder to handle is that when I occasionally take some unhealthy food to work (like instant noodles) I get shunned, and the comments freely flow like ‘having a healthy lunch today?’ always criticising which I try to just laugh off, but really I want to say to them, ‘I do the best I can each day, my house is clean, my clothes are clean, we eat healthy homemade meals everyday, I have a happy house hold and am proud that only a few months after our baby has died that I am able to function at the level that I am, I can concentrate on work and I am good at my job, if I occasionally bring something ‘bad’ for lunch it does not make me a bad person, it means that I am human.’ It has only been in the last couple of weeks that I have realised that none of my department (except 2 people) have read our blog, and this really affected me, it made me feel like I need not bother to continue on, as I originally started this blog to help our friends and family understand what we were/are going through without them having to ask too many awkward questions…it is all here my whole heartache, and they couldn’t be bothered to take 1 hour out of their lives to understand what their work colleague/friend has gone through, they made me feel like a robot, when I went back to work only 3 people out of a whole hospital were brave enough to tell me that they were sorry for our loss or even mentioned Liam’s name, everyone else just pretended it didn’t happen and when I did mention Liam’s name or even show a photo of him I was told to ‘put it away it will only make you upset.’ Anyway it is this reason that it has taken me so long to be bothered to sit down and continue our story. So I think last time I mentioned that our OB had apologised to me. I felt like a huge weight had been lifted from me, I felt light and free and my anger dissipated almost immediately. I think I smiled the whole day, I felt like I had won the lottery, this feeling lasted until the next day when a different feeling overcame me. That week there was another group meeting with Deb and Belinda, there were many new faces in this meeting and I sat there and shook my head feeling devastated for what these parents had just been through, and what they were still to go through. In our meeting there was one very determined lady saying that she had to have an answer as to why her baby had died and she wouldn’t be able to live without an answer, some of the mums of stillborn babies were saying that they had all the tests done and they still had no definitive answer as to why they lost their child, and probably never would, I was asked if I knew the reason as to why Liam died and my answer was ‘sort of, we know that many things went wrong in his delivery and I finally received an apology from my OB this week, but in reality there still could have been something inherently wrong with Liam that might have caused him to die, even if everything had of gone to plan, however the hospital/OB/anaesthetist and midwife never gave Liam the chance he deserved at having life, they failed their duty of care to him, to me and my husband and now he wasn’t here’ I was asked how I felt at receiving the apology and I told them that originally I was overwhelmed with happiness and that my anger had been taken away, however it had now been replaced with a feeling of sadness, of isolation, of hopelessness and that for now I just felt flat and a little numb once again. I told them that I had sought the reason for Liam’s death so hard, that now I had an answer I realised that it didn’t really mean anything, it hadn’t brought Liam back, he was still dead, all my energies had gone into getting people to own up to their mistakes and take responsibility for some of their actions. I think deep down I never expected anyone to apologise, I think I thought I would always be fighting for it, fighting for Liam and because I had never expected it to come I hadn’t let my mind comprehend what it would mean to actually get some answers/an apology, and I think deep down I believed that if someone said sorry all would be good, somehow Liam would return to us and the world would be how it was meant to be, our perfect world would somehow be restored, however this was not reality and for the time being I was just getting use to the fact that nothing was going to bring my boy back, he was dead and I needed to accept that. What I needed was a distraction, something to snap me out of my despair and once again I was saved by a beautiful little princess, without her I would not be the person that I am today, she makes me a better person each day, she makes me see beauty in the world every day, she sees things with such innocent eyes and guides me to see the same. Turning 4 is a BIG deal, and my little poppet’s birthday was soon approaching, only just more than 2 weeks after meeting with the OB my little girl was going to be 4, and she was SO excited. We had been discussing her birthday for a while and she had decided that she wanted her birthday party to be held at Little Rascals (an indoor wonderland for kids) she went with me to book in her party and pick up her party invites, she excitedly told me who she wanted to come to her party and we wrote out the party invites together. I remember going to daycare with her one day and reading out the kids names in her class asking her who she wanted to invite, we sat and whispered together as I didn’t want kids who weren’t invited to hear that she didn’t want them at her party (normally I would probably invite the whole class explaining to her that it isn’t nice not to include certain people, but there were a lot of boys in her class that she didn’t want to come, and I just wanted her to be happy so I let her choose) and as we sat in her daycare class the excitement overcame her and she squeeze cuddled me as hard as she could telling me she couldn’t wait for her birthday and I gave her kisses all over telling her that I too was excited! 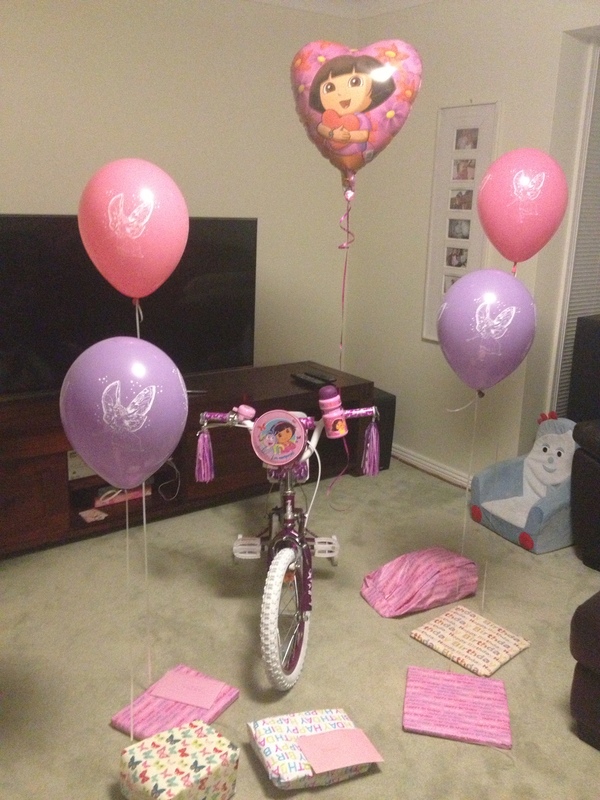 Choosing a birthday present was nearly as exciting as having a party, Ryan and I asked her what she would like and she decided on a ‘Dora big girl bike’ At this time I had not yet returned to work, so I had Monday’s and Fridays to find Alethea’s desired present….unfortunately there were no Dora bikes in Australia in the size that she needed, I learnt quickly that Dora bikes are only stocked in big chains like Toys R Us, Big W, Kmart etc, and not bike shops, but unfortunately all these stores were ‘out of stock’ of Dora bikes for 4 year olds, they had bikes for kids up to around 4, but if I had bought one of those it would only have lasted a few months and then she would have needed a new one. I went online try and buy one to no avail, I asked the big chain stores to see if there were any in other states of the country, but it wasn’t to be. I eventually found a Dora bike accessory kit online (at the cost of a normal Dora bike) and I took Alethea to a couple of bike stores to try out some plain bikes that I could add the kit onto and make her a Dora bike. One of the stores had a purple bike with a baby seat on the back of it and Alethea fell in love with it, however she was very concerned that it wasn’t a Dora bike….so I told a small lie and said to her that what happens is you choose a bike that you like, and the night before your birthday Dora brings it to your house and makes it into a Dora bike if you have been a really good girl, I explained that Dora was a little like Santa and would come while she was asleep and that if she was really good, on her birthday she would wake up and Dora would have made her a bike, this excited Alethea so much, she couldn’t wait for her birthday!! On the Wednesday before her birthday my friend David from Edible Designs made Alethea a sensational Little Miss Giggles/Sunshine and Chatterbox birthday cake to take to day care and share with all her friends, Alethea was in her element, she LOVED her cake and the attention that it brought to her! When her big day finally arrived she had the best day, she was the birthday girl. Daddy carried her in her pyjamas downstairs to see if Dora had brought her bike for her and she was so excited she started talking jibberish (I’ve tried to attach a poorly made iPhone video of her reaction down the bottom, it really was very cute!). 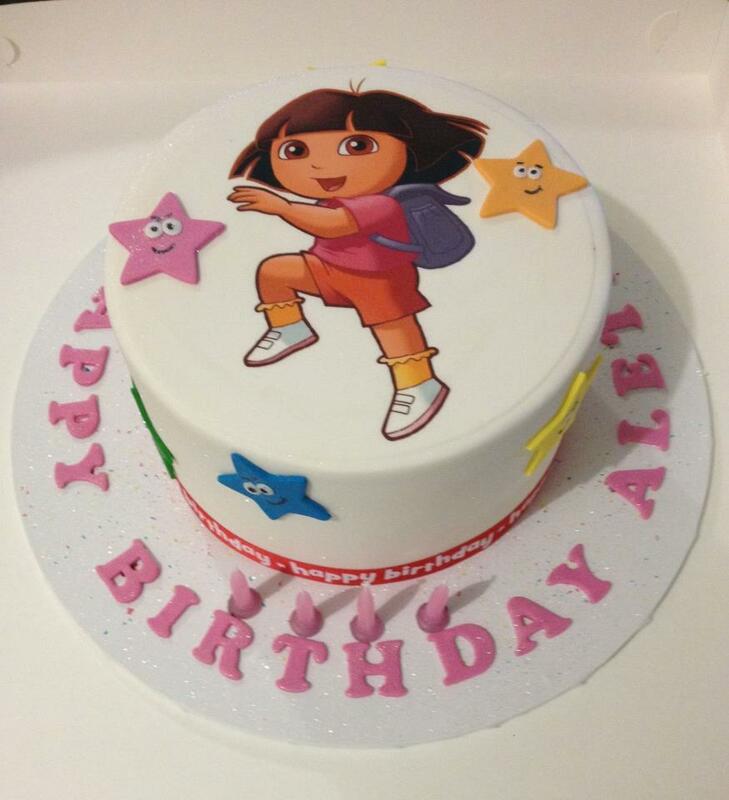 Her birthday and party were on the same day, so not long after breakfast we headed to Little Rascals where she ran around with all her friends, she had a Dora Birthday cake which David from Edible Designs also made for her (very lucky little girl!) and she had one of the most magical days of her life, she still talks about her birthday every couple of days and just about everyday she tells me she can do this or that because she is 4 now! It was lovely to have something fun to focus on, with my anger now well and truly gone, and my initial shock/sadness/isolation and numbness at receiving an apology now also gone I truly felt happy and free, which was great, because 3 days after Alethea’s birthday we were off to Thailand for a wedding and holiday, and we knew it was going to be fun and magical. It really was from this point onwards that our family settled down, we had come to a point of acceptance, Liam was not here, we could not bring him back, but we had promised him that we would still live our lives to the fullest, we would continue on with our lives always remembering him, but knowing that we needed to be the best mum and dad that we could be to Alethea, and now was the time that this promise needed to start to be fulfilled…yes it seems like a long time to not have fulfilled this promise that we made to him back in the hospital, but in reality it was 16 weeks. 16 weeks of grieving, anger, isolation, hopelessness a process that I believe was necessary for us to go through to get to the point which we are at today, yes there are still bad days, they normally come out of the blue and there always will be, however now when they come we just accept them, but the good days are able to outnumber the bad and that has to be a positive! 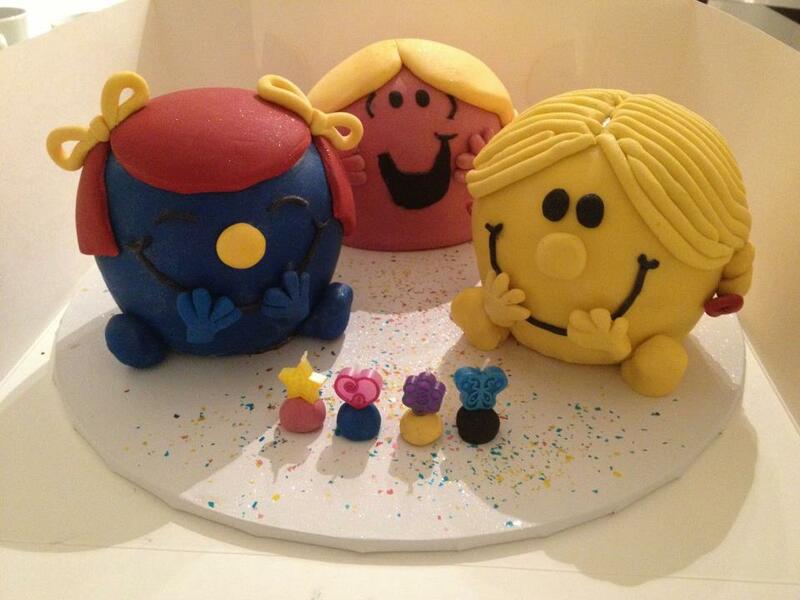 Little Miss Giggles, Sunshine and Chatterbox Cake for daycare! Thank you so much for letting us into your heart and into your life, I can’t believe that your colleagues didn’t read your blog, to me it seems very insensitive. Through reading about your experiences I feel as if I know you and your family as friends even though we have never met and I count on the next post like a coffee and catch up. They have missed out on getting to know you completely and that is going to be their great loss. You have an amazing family and you are an amazing mum, concentrate on the people who matter the most to you and you will keep on doing good. What a beautiful person you are! Thanks for your lovely comment, you always bring a smile to my face! Amanda your story, and your ability to tell your story gives strength and hope to others who are faced with unimaginable grief, be it from the loss of their precious child or other situations that life throws at us. Please don’t stop writing your story, as Liam in his own special way is helping others. Thank you for opening and sharing your heart and your soul. I do have lots more to say and share, I was just a little disheartened over the past few weeks….but I have SO much share with everyone! Thanks for you beautiful comment Danielle. Enjoy your little girls 4th Birthday, I’m sure it will be magical, my little miss has already picked out her 5yr old and 6yr old birthday cake, kids are just too cute! Oh Meagan, I am so sorry for your loss, I think society as a whole deals with people’s grief poorly, and I am sure that before Liam I would have been the same, he has opened my eyes to so many things, lots that I didn’t want to know about (or more so refused to think about) and lots and lots that I have welcomed with open arms to learn. Thanks Narelle for you lovely message. Good luck with your travels on becoming a midwife, I’m sure it is one of those careers that can experience the highest of highs and the lowest of lows and it takes a special kind of person to embark on that journey. Yes I think I was just as excited for Alethea’s birthday as she was, it is such a beautiful age and I am such a lucky mummy to have her as my daughter! Please don’t feel like you have wasted your time in putting how you have dealt with losing Liam and your fight for your precious boy. I have read your entire blog from when you first started right through to tonight. Often with tears running down my face as I’ve read. I understand in how you feel with your colleagues and how they haven’t mentioned Liam or what has happened as I had the same happen when I lost Jacob and again back in Nov when we lost our bub at 11 weeks. It hurts and cuts deeply when no acknowledgement is made and that they expect you to continue on as normal when things aren’t always as easy as that when you are a grieving mother. Please know that no matter what. With this blog you may not of helped your colleagues but you have helped others. Be it a grieving mum to know they are not alone in their feelings, a family member who now knows what to do for their loved one. Or someone like me who has walked that path and often wondered was I being unreasonable could I have handled myself better? Liam would be very proud of you for getting his story and your journey out there. Thanks Amy for your message, I often read that poem you sent a while ago, how true that poem is, it really says everything that I and I am sure a lot of other people feel. You have given me a laugh as well….I often have that same thought going through my head “Am I being reasonable, could I handle myself better” and I think most of the time I do handle it well…but there are those times when I am sure I took things to a level that maybe I should have left alone! Although you might feel like you have wasted your time because your colleagues did not take the time to read this, rest assured, so many of us have read, felt, cried with you and ever word you have written. Your family must be so proud of the strong woman you are. I am glad to know you through your words. You are amazing. Thanks Karen, I do appreciate all the people who have come on this journey with us and taken their time to read our blog (it always amazes me to see just how many people have read our blog) the comments that people have made to us have helped us in our healing and made us stronger people, and that is a beautiful gift that people have given to us. It just surprised me and disheartened me to realise that people who I have worked with for more than 7years didn’t want to know what we have been through and have very little understanding of how hard it has been for us to get to the place that we are at today. I do hope as you say my family are proud of me, that is a nice thought! Thanks for your beautiful comment Lauren. To be honest, I’m not sure how Sunday will go, at the moment I am feeling quite positive about it and ready to enjoy a lovely day with my family….but that could all change and I could wake up on Sunday morning devastated, I just take each day as it comes! Work most of the time is great, it is a good distraction and I needed to know that I could do it, that I could care again for patients and want the best for them, because I was very worried that I would just ‘not care’ and worrying about that (especially before I restarted work) was taking its toll on me! Wishing you a Happy Mother’s Day for Sunday, I’m sure your beautiful family will spoil you rotten! Your words are not wasted. I have read each post and shed many a tear over what has happened to your family. Whilst I don’t know you I care about your loss and check back from time to time to see if you have posted anything else. I’m so glad your daughter enjoyed her birthday and her present. I think you are coping amazingly well. Thanks for you lovely comment Rachel, Thanks for caring about our loss of Liam, your words really do mean lots to us. Alethea is always a good distraction for me and I’m a very lucky mummy to have her, she has a very gentle (yet cheeky)heart! Wow I’m disgusted that your work mates have not taken the time to read and try and understand if it wasn’t for you pouring your heart out I honestly wouldn’t be aware of what families begin to deal with … I look every few weeks to read your blog ..so thank you for sharing your journey. Thanks Rachael, I was just disheartened and disappointed that my work mates didn’t read our blog (a couple did but not many)but I also know I can’t force people to read something that they are obviously uncomfortable with, I hope there is a reason why they have chosen not to read it! You and your family are truly inspirational. You are stronger than I could ever imagine and your journey has taught me to appreciate everything in my life, particularly my son. I am so inspired by your Blog that I have put your link on my blog so I can share your story with my readers. I hope that this is ok? I just wanted you to know that there is no way I will miss reading any of your blog entries and I thank you and respect you so much for letting myself and my family and all of us who have followed your blog into your heart and soul. through. You know my little girl can have a way with words and I believe she can see and sense more than the rest of us…well she often speaks of Liam and says that he is ok and that Pa (her great grandad) is looking after and playing with Liam in heaven. I will continue to check your blog regularly… Please know that even though I can’t even imagine what you’ve gone through, reading your thoughts has touched my heart and helped me understand. There was never a doubt in my mind that you hadn’t read our blog, I knew that you would have the courage to put yourself out and try to understand what we have/are going through. Hi Kath, thanks, I had a surreal mothers day, but as I do, I kept myself very busy and the day turned out just how I would have wanted it to…just missed my lil man! Hi Amanda, I have also been reading your entire blog since it was featured on the Heartfelt website. For someone who hasn’t experienced the loss of a child, I can sort of understand that ‘outsiders’ (people who are not your close friends) feel like they don’t want to approach the subject because they think they will make it worse. However I am very thankful to have learnt so much from your open and honest reports that made me cry many times that I hope to be a better person to someone in need of support in future. All the best to you and your family. I think perhaps it is simply too much for them and so they carry on in denial rather then face their fear. I had a miscarriage recently and was devastated, my husband and I told our older two kids in a very simple way that mummy was going to have a baby but now she’s not, they were sad and asked some questions and then moved on the way kids do. You can imagine my surprise and hurt when I received criticism for telling our kids. Friends and family told me off for mentioning it. They spoke to me as if I was at fault for causing my children pain. I had some quite bizarre phone conversations where i felt a very real need to defend my actions and decisions. After some reflection I think it is all too confronting for some people. I think that perhaps your colleagues are simply unable to handle the magnitude of what you are going through and I think it is fear. They are too scared to open that door and are probably afraid of what you may do if you do get upset, it is NOT you it is them. Our society can’t handle grief so most people pretend that it is not happening, you are so very very brave and courageous and that is terrifying to many as god help them if you actually show some real emotions..you might cry in front of them and then what would they do??? Oh no it may make them feel something they don’t want to feel..heavens better keep a lid on that….. It made me feel so sad that they told you to put away the photo of Liam, it made me angry too as how dare they try to put their fear and uncertainty onto you, you have enough to deal with without taking on their insecurities too. Let them carry those not you. Please keep writing for as long as you feel you want to and please know that there are many many people who are with you. Felicity, I am so sorry for your loss and what you have been through. People can say very silly things! I do have lots more to share and lots more to say and a whole journey to unveil, I just have to find the time to sit down and write it! thank you for sharing this update. i was so sorry to read that your colleagues did not read your blog… what a missed opportunity to share in your grief and show support. something i have learnt from this blog is how much it means to someone who has lost their child to have them acknowledge it. I am a very sensitive-to-others person and I admit that previously, i would have been so very desperate to say something/talk w them about their lost love but thought ‘oh dont bring it up, you will just upset them’ and if im not super close i would think ‘oh and they will think i am not close enough to presume to bring this up w them’. but now i know better – so thank you for that. Thanks Kate! You have put a smile on my face tonight! I love that there are sensitive people like you out there, you are rare to come by, but I have found a few like you, most of the time it has been people that I am not that close to, and I really appreciate that they put themselves out there to ask how we are going and they actually genuinely care about the answers that we give. I’m not 100% sure that I am proud about some of the emotions that I went through and how I dealt with them, even now in this last post getting upset that my colleagues hadn’t read our blog….I was thinking only of myself I wasn’t putting myself in their shoes realising that it may be all too much for them to understand and want to comprehend! Thanks Kellie, actually we are doing really well at the moment, when I sat down to write this last blog I was a little angry at my work colleagues, however I have since realised that reading this sort of thing is not for everyone, and I shouldn’t be disappointed if certain people don’t read it as it is too far out of their comfort zone! I want to thank you, from the bottom of my heart for giving me such a beautiful, raw perspective from a mother. You have enabled me to understand and see the true depths of despair that this tragedy has put you and your family through. And in a really selfish way I am so grateful to have found your blog. You have taught me things about these tragedies that no textbook will ever share and you have pushed me to question csection categories and the protocol around them at the hospital I am based at. Amanda, you are an inspiration to the way I will work when I encounter situations like yours in practice. You inspire me to be a better person, a better midwife and most of all a better mother. You are beyond amazing and your strength is just unfathomable. I read your posts with tears of fear and love from my heart to yours. You should be so proud of you, you’ve taken a journey that no parent should ever have to take, and you have shared it – to help others, to openly reflect to people that matter. As for your work colleagues, Some people think they are saving you when they don’t say anything at all, when all you really need is acknowledgement, acceptance and love. Amanda this is me, mother to mother, acknowledging you as a mother of two, an amazing and inspirational woman, a caring and raw individual. You are more than an opinion from a colleague, you are more than a friend that won’t visit you. You are more and you deserve more! My fave quotes- Those that matter don’t mind, and those that mind don’t matter! Remember that. Today you are you, that is truer than true, there is no one else who is youer than you!! Believe in yourself Amanda, I believe in you! Keep shining, you are a a star in this grey and stormy tradgedy. You are building others who are fighting the same fight, you are showing the world the truth, you are inspiring careers (like mine) and most of all you are teaching your sweet children the wonder of courage and honesty. Thank you for the tears & the invaluable lessons. I really love getting messages from student midwives, because I realise that you read our blog in the hope to help someone who has been in our shoes one day, (and unfortunately there is a great chance that yes it will happen). Hi Jessica, thanks for reading our blog and journey. Yes health is both a big and small industry (ie it feels very big, but after working in many hospitals you do get to know so many, many people!) and there is a good chance that we have met! I am sorry people did not understand (or want to try and understand) your illness. It is hard when people who know very little about something come in with their “advise” when sometimes all we want or need is people listen to us, sometimes there is no simple “fix” to a problem! I think that is a great idea and I will try to adopt what you do, ie when people make careless comments I need to remind myself of how well I am doing, that is a great philosophy! I heard about your blog on a message board and have read it over the last few days. Your story, and the way you tell your story, is heartbreaking but beautiful. I can’t imagine how it must feel to have people ignore what you have been through, to ignore the reality and loss of Liam. Ultimately, though, it is their loss. They will never know, as Liam surely looks down upon his family and knows, how beautiful all of you are, and of your capacity for love. This is why I say your story is beautiful – your love for each other, for your sweet little girl, for your beautiful son. If your co-workers can’t take the time to appreciate that, and honor Liam, then it is their loss. Hi Jennifer, thanks for reading our blog and journey. Around 8 months ago someone else told me that our story was beautiful…but at the time I couldn’t accept it, I thought of it as sad and tragic. I now realise that you and this other person were right, some people can go a lifetime and not know the love that my family and I have known, and I agree that is a beautiful thing and I am very fortunate to have such a great husband and beautiful little girl. I miss my little boy each and every day, I love him so much and wish he was here, he is always on my mind, but I am at the point now that when I think about him, most of the time it is with a smile on my face as I remember his beauty, his softness, his smell, yes some days sadness creeps on in, but I think that will always happen, and I’m ok with that! I wanted to apologise that I never told you that I have been reading your blog. I have been following your blog from the very start, ever since we saw your article in the Manly Daily at tea one day. I’ve wept reading your heartache and happiness, and your bravery to be so open about your grief is inspiring. I am sorry that I never had the courage to directly talk to you about Liam; I was always so afraid that I would say the wrong thing. As the newbie, I am ashamed to say that I didn’t know whether it was ok for me to bring up all you have been through. I hope you can accept my apologies. By opening up on this blog, you have freed so many people from their silent prison of grief. You are so inspiring as a colleague, person, and a mum, and you are one of the strongest people I know. Thank you for teaching me so much by letting me in on your journey.